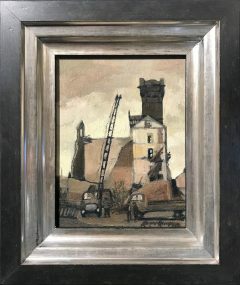 Roger Hampson, 1925 – 1996, was born in Tyldesly, Lancashire and is well known for his paintings, drawings, lino prints and mono prints of the industrial surroundings in which he was brought up with mining scenes, mill scenes and street scenes and pictures of the people that he encountered in these surroundings. Roger Hampson studied at Manchester College of Art from 1946 – 1952 and followed a career in teaching art becoming the principal at Bolton College of Art & Design from 1978 to 1986 and was elected president of the Manchester Academy of Fine Arts from 1969 to 1976. Roger Hampson’s work has been exhibited is many group shows and in 30 solo exhibitions and most recently a selection of about 75 works “Images of a Lost Landscape” have been on tour around North West municipal art galleries starting in Oldham and then on to Wigan. 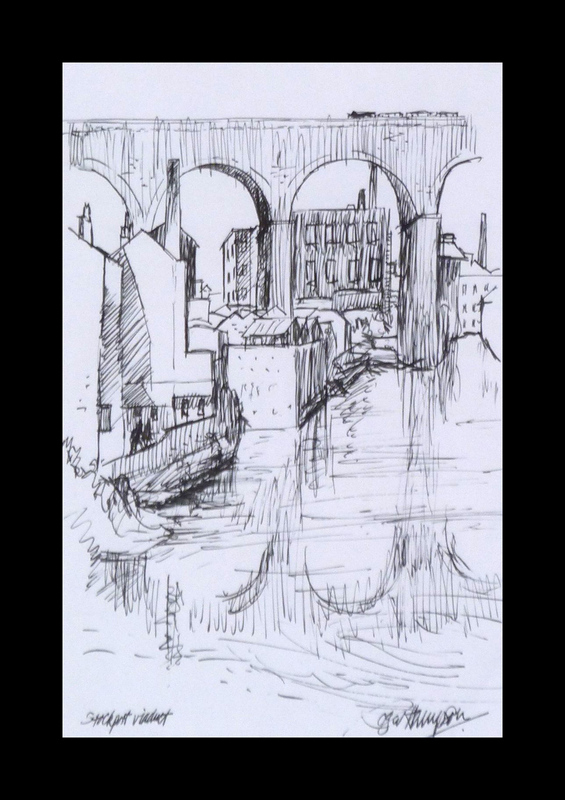 Work by Roger Hampson has seen an increased level of interest in the market place as an increasing number of North West galleries have decided to include his work in their exhibitions.